Every company is a software company and now every company is a data company. The challenge for companies of all sizes and across all industries is that the promised benefits from Big Data has remained elusive for most. 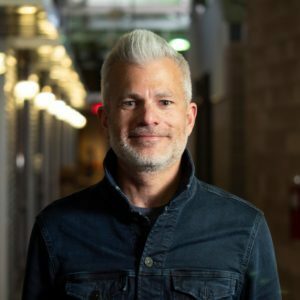 During this talk Ryan Frederick will share insights on why being a great data company is imperative, the historical challenges of getting there, and why now is the time for it to be attainable for all businesses. Ryan Frederick is a a product person, an entrepreneur, data problem solver, angel investor, and nonprofit launcher & leader. He is Co-Founder and Principal at AWH, a Dublin-based custom software firm that serves startups, mid-level companies, and large enterprises. He is also Director of the Columbus Chapter of the Startup Grind event series, the Founder/Chairman of i.c.stars |* Columbus, a rigorous technology-based workforce development and leadership training program for low-income adults. Ryan is also an Advisor at Rev1 Ventures. In this role, and through many others, Ryan helps startups grow and succeed. Event is free and includes a light lunch. Thank you to our sponsor Mmelo Boutique Confections. Business experts offer free 30-minute business consultations each month. As a community created by innovators for innovators, New Albany offers a robust ecosystem that leverages entrepreneurship, business connectivity, public-private partnerships and quality of life to inspire creativity and accelerate commerce. The New Albany CPA Co. Explore our full list of tenants by clicking here! Innovate New Albany, the city’s incubator for technology startups, entrepreneurs and small businesses, features 16,000 square feet of space within the New Albany Business Park’s Signature Office Building, 8000 Walton Parkway. In partnership with The New Albany Company, the city subsidizes rental rates and provides a wide range of services, from a fiber optics network, office space and conference rooms, to workshops and seminars. Apply to be a tenant! The latest headlines delivered to your inbox. © 2019 Innovate New Albany. All rights reserved.